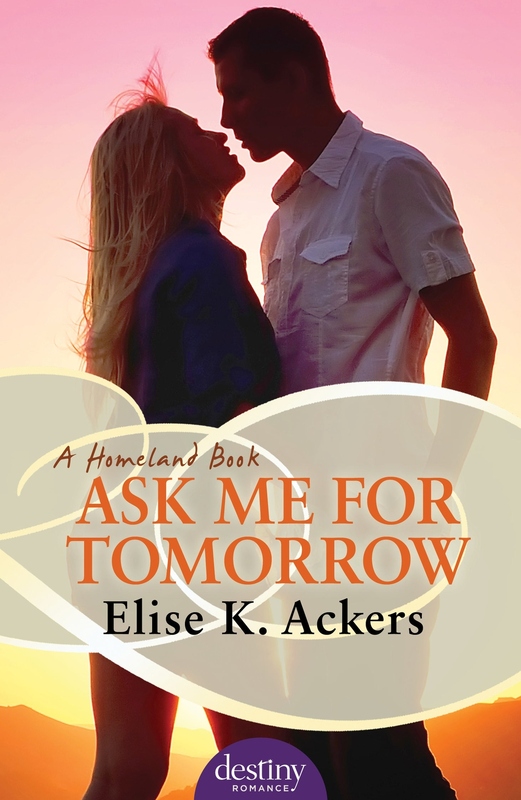 Ask Me For Tomorrow is the third novella in my Homeland series published with Destiny Romance. A standalone title about two single parents, this book explores the many responsibilities of family, and the sometimes overlooked responsibilities to self. Set in a fictional country town in rural New South Wales, Australia, Ask Me For Tomorrow is full of small town personalities, family tradition, and second chances. Dean Foster and Alice Jaye are both at their wits end. Dean’s kids are acting up and starting fights at school, his business is demanding long hours, and he’s having thoughts about a woman for the first time since his wife died. Alice is working two jobs, trying to be there for her son, and keeping secrets from her new boss, Dean. They’re exhausted, they’re confused, but somehow amongst all the madness of day-to-day life, their long-dormant hearts are stirring again. Dean and Alice’s story is the tender conclusion to a series about brothers Dean and Ethan, their best friend Cal, and the three women they love. As Dean fights to convince Alice that the world, and all its complications, can wait, the characters who’ve previously stood centre stage in earlier books are all in this one, continuing their stories and supporting Dean’s. As a reader, I’ve always been drawn to series, I love revisiting characters I’ve connected with to see them in different stages of their lives; so as a writer it was important for me to do each character justice as the Homeland series reached its third installment. Ask Me For Tomorrow can be read without having read the first two, but it’s richer in their company. One of the challenges of writing this series was properly capturing the passing of time. There is approximately a year between the first and second novella, and almost the same between the second and third. This was necessary, especially in Dean’s case because it allowed for distance between the loss he suffers in Ask Me To Stay, and the love he allows himself to feel in Ask Me For Tomorrow. This is my first series, but it won’t be my last. It’s been a delight to remain so long with these characters, and I’m thrilled to be celebrating the release of Dean’s story. He’s been on my mind for a long time, and I was very happy to have the opportunity to give him a second chance at a happy ever after. All three novellas are available from Destiny Romance. Three years after losing his wife, Dean Foster feels like he's living in a daze. When he finds himself attracted to his new employee, it comes as quite a shock. Single mum, Alice Jaye, is struggling to make ends meet. She's too tired to flirt with her gorgeous new boss and firmly maintains a professional distance. But when their children bring them into close contact, keeping their relationship strictly business isn't easy. As Alice and her son spend more time with his family, Dean's heart begins to open once more. But can he risk starting all over again? This eagerly anticipated final book of the Homeland series is a tender, heartwarming story about letting go of the past and giving love a second chance. Elise K. Ackers is from Melbourne, Australia. She writes contemporary romance and romantic suspense and is published with Destiny Romance and Escape Publishing. Elise is an animal foster carer, a magnet for unusual accidents, and an enthusiastic couch commentator. Ask Me For Tomorrow is her sixth book.